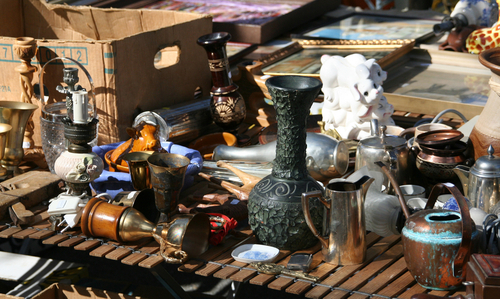 A car boot sale or trash and treasure event is a simple and effective fundraising concept. Clubs allow members and the general public to drive their car into the car park or onto the playing fields into pre-sold stalls where they sell goods from the boots of their cars to buyers. It is a great way to capitalise on grounds when they are not in use and is easy to organise and manage with mass appeal and a potential to raise substantial funds. Substantial volunteer staff will be required to help run the day, as well as help sell stall places in the lead up to the event. Why a Car Boot Sale/Trash and Treasure event? This is a great fundraiser to use when you are hoping to collect fundraising dollars from the wider community. With great promotion you may find people external to your club might like to have their own stall or come along to shop. It can also become a great annual community event that is a highlight in the community calendar. When should I hold this fundraiser? While this fundraiser can be held at any time throughout the year, it is important to take into account the weather and the use of your club grounds or carpark. It is also a good idea to avoid long weekends or school holidays if your club has many families that go away at these times of the year. Promote the day in your club’s newsletter, on social media, you website and around the club. Promote externally to the wider community. Organise your volunteers and run through how the day will run. Have signage so drivers know where to park. Ensure all stallholders are parked safely. Announce the amount of money raised in club newsletters, on social media, website and around the club. It is important to engage your members and community to help in the running of your fundraiser. It is important to create a culture of volunteering at your club to help not only with fundraising but also across the day to day running of your club. For more on how to create this at your club, click here. You may like to consider using technology to reduce the workload on your volunteers and increase your fundraising dollars. For an event like this, you may like to sell tickets using a platform like TryBooking. TryBooking lets you sell tickets, take payments and donations for events online. This takes care of a great deal of the work that is usually left to volunteers and automates the ticket selling process. You can set up and customise your own event page and a unique URL in minutes. This lets you easily share the event online and engage members and supporters. Your club may also like to use social media, email newsletters and your club website to promote the event. Clubs can charge anywhere from $20-$35 per lot and with the size of ovals and car parks, there could be up to 200 lots made available. This equates to between $4,000-$7,000 for the club. On the expenses side, clubs will need to try to utilise their volunteers to keep costs down. Volunteers will be needed to help with setup, food and drink sales, traffic management and clean up. If volunteers can’t help, contract or event staff will need to be organised and paid for. The great thing about a Car Boot Sale is it is the perfect to host secondary fundraisers like Sausage Sizzles, raffles, club membership and club merchandise sales. Food and drinks sales through the canteen are another great revenue raiser for the day. Car Boot Sales appeal to the whole community and not just your club community. Clubs could promote the event in community resources like the local radio and newspaper as well as a flyer-drop to mailboxes and businesses in the local area. On top of this, clubs should always promote to their own members via the club website, newsletter and social media pages and can encourage their members to participate either as buyers or sellers. Effective communication of your car boot sale/trash and treasure event is important to its success. You can use social media to build excitement, sell tickets/stalls and countdown to the day. You can also live stream the event on the day so that those in your community that can’t attend can be part of the event. It is important to consider whether where you are planning to park the cars will have an environmental impact. It is also important to ensure you have volunteers to help with the rubbish clean up during and after your event to ensure we look after our community spaces. There are obvious financial risks if enough stalls aren’t sold or funds being raised by other means and setup costs are more than is made. The health and wellbeing of those who attend your event should be a focus at all times. It is important that your club takes time to consider all possible risks and how to minimise these. The weather can make the day difficult to run should their be extreme heat or extreme rain. Alternative arrangements should be discussed and decided on prior to the day should they be necessary. It is imperative your club work with your local council when organising a car boot sale or trash and treasure event, as many factors need to be taken into consideration including neighbours, traffic and food and drink regulations. Do not run this type of event without consulting with your local council, they are there to help and support your club. It is important to mark out your stall spaces clearly and provide a label that states who the stall space belongs to or a number so that stallholders know where to go. Try not to jam cars in too close to each other and don’t forget to leave space for foot traffic. It is vital your club has a traffic management plans to ensure vehicles move to their stall spaces and exit smoothly, safely and without incident. Be clear about the goods allowed for sale. It is illegal to sell certain goods without a permit and be careful with those trying to sell pirated or illegal goods. Public liability insurance is required for you to undertake this event. Consider the policy and ascertain if your policy covers you for this event. Additional revenue opportunities include; raffles, canteen revenue, bar revenue, side stalls and rides. This links to other pages that have fundraising ideas that can run simultaneously, should the club like to. Any specific suppliers or links for this particular fundraiser. Could be used for 3rd party advertising in the future. This procedure should be treated as a guide only. Your club should seek advice specific to the needs of your club and event. Seek further details from authorities and service providers; especially in regards to insurance, licences, permits, spectator and participant safety. Bottles Plus offering FREE FREIGHT to selected Capital Cities! TryBooking is an incredible platform that allows you to easily and effortlessly create, manage and sell tickets online for your event. You can also use it to take registrations, donations and sell club merchandise. The platform helps ensure that your event runs smoothly and eliminates many administrative tasks. You can create custom branded events with seating or general admission, different ticket types and prices, generate a number of real-time sales and marketing reports, as well as scan attendees on the day with their free Scanning App.